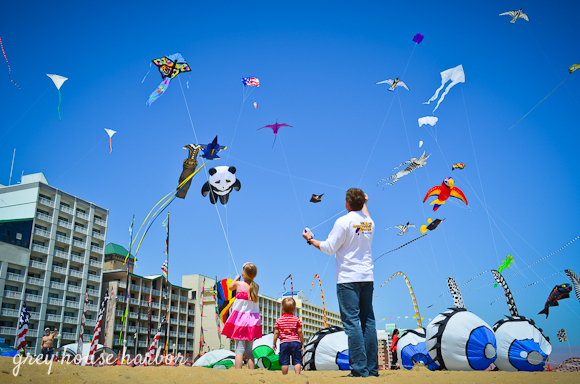 I’ve mentioned before how much we as a family enjoy flying kites. 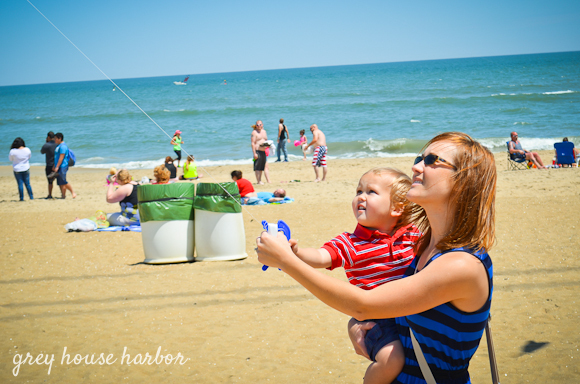 So when I caught wind (pun intended) of the annual local Kite Festival, you better believe we booked it down to the oceanfront to check out the scene. 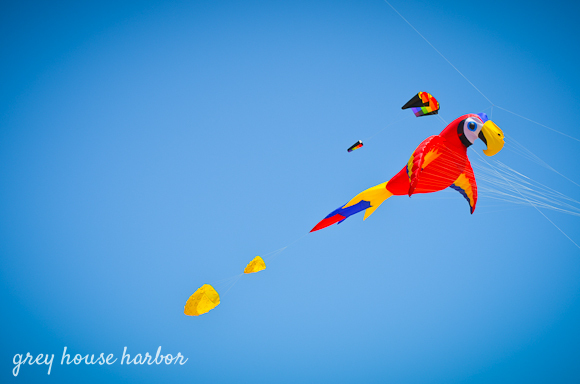 They had all sorts of amazing kites flying high above the boardwalk. 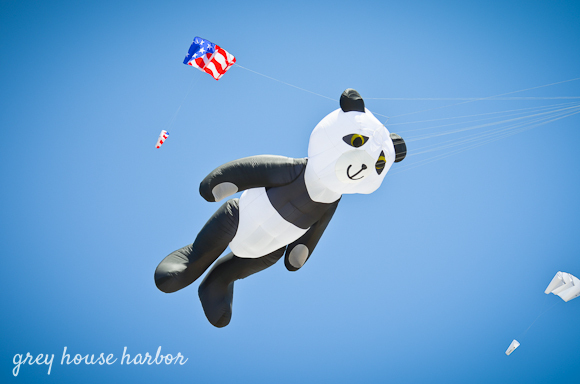 This panda was over 80 feet long! 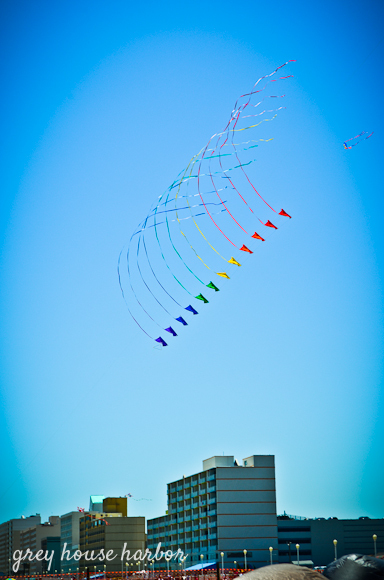 They also had a space where professional stunt kite flyers were demonstrating their talents to music. 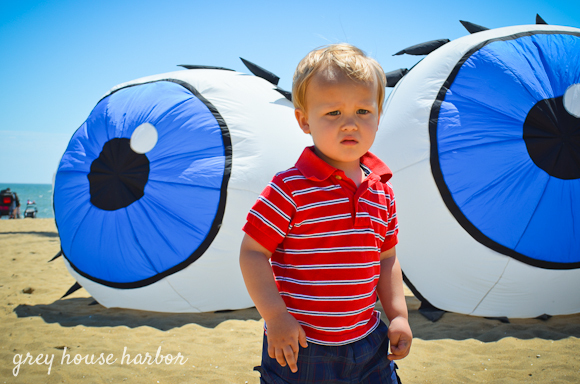 Bug was not too sure about the wind-powered eyeballs. That’s ok, lil dude… they are kinda creepy. 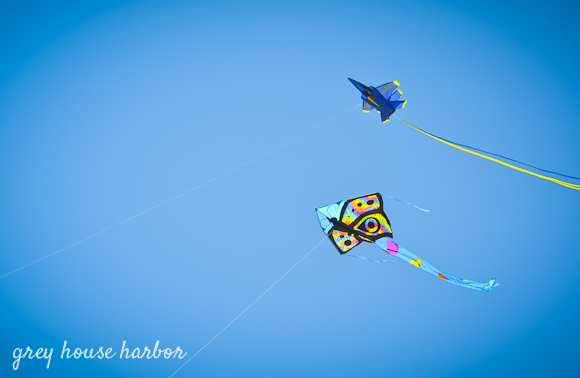 I actually keep my kids kites in the trunk of my car… in the event we happen upon prime flying conditions. Clearly this was a choice opportunity to get in on the action. Bug lost interest in the actual flying of the kites pretty quickly and Songbird ran into a friend from school with whom she proceeded to run wild. 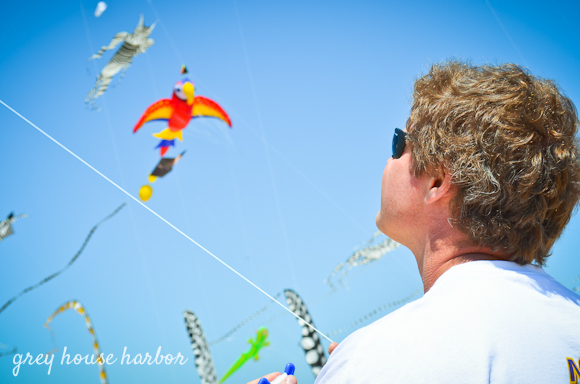 So, Handsome and I ended up manning the kites half the time. Not that we minded—sort of like a mini-beach-date. 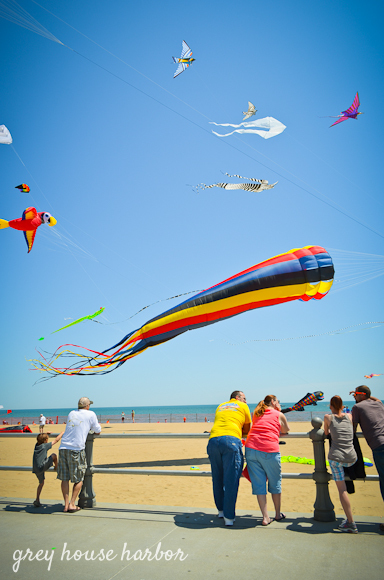 What a great way to kick off kite flying season!